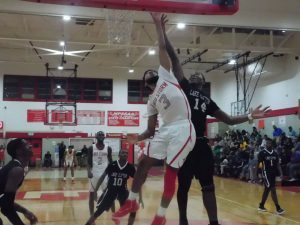 Edmondson’s Keith Bolden (3) and Lake Clifton’s Zevon Hughes battle for a rebound during Thursday’s key Baltimore City boys basketball match. The No. 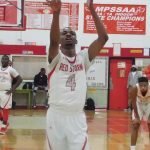 9 Red Storm pulled away in the fourth quarter for a 73-67 win in West Baltimore. 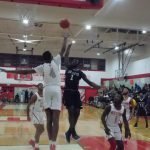 Edmondson High wasn’t on the Baltimore City boys basketball championship radar at the beginning of the season. Now, the Red Storm are headed to Morgan State University. The No. 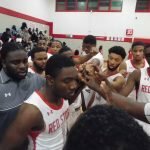 9 Red Storm defeated sixth-ranked Lake Clifton, 73-67, in a city league A Division match in West Baltimore. 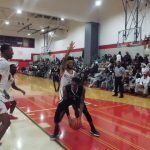 Marcus Hocker posted 24 points for Edmondson (17-2 overall) and sophomore guard Eontae Nelson added 13. 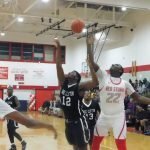 The Athol Avenue school made a critical fourth quarter run before holding off a late Lake Clifton charge to clinch first in the A Division (7-0). The Red Storm will play No. 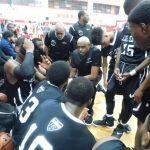 2 Patterson, the B Division’s first-place team, for the city title, Feb. 21 at Hill Field House at 7 p.m. The Red Storm switched to a 1-3-1 zone defense in the second half, cooling down Lake’s perimeter game. The East Baltimore school made six field goals in the second half. Dreshawn Hodges’ 3-pointer brought the Lakers even at 56 with about 5 minutes, 15 seconds left in regulation. 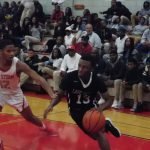 Tre’Shawn Lewis’ follow-up started a 10-0 run – featuring another Lewis basket and Nelson’s steal and layup – putting Edmondson up, 66-56, with 3:09 left to play. 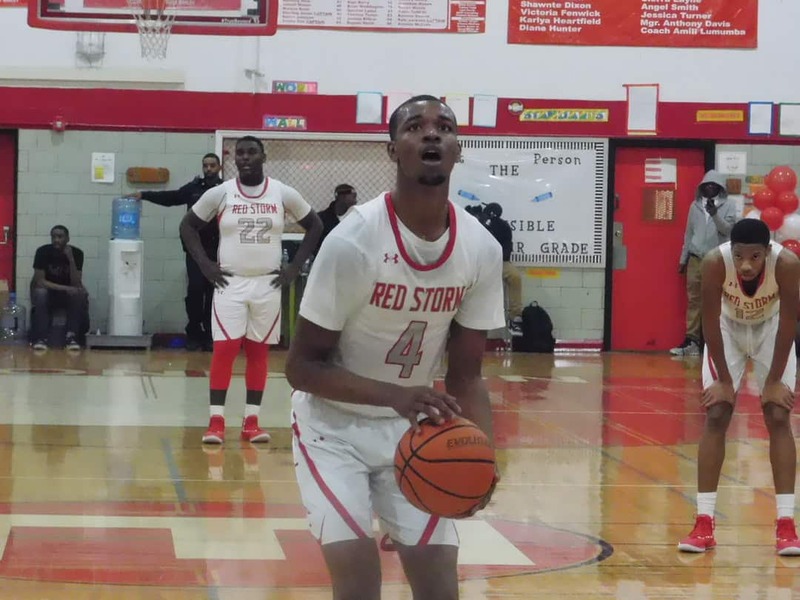 The Red Storm led 70-62 after Smith’s basket with 1:02 to play, but Lake Clifton, thanks to Armon Harried’s 3-point play, got to 70-67 with 21.2 seconds left in regulation. 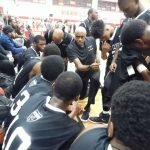 Edmondson missed the front end of an one-and-one, and Michael Gray missed a 3-pointer for the Lakers. Hocker got the defensive rebound and sent a pass downcourt to Keith Bolden, who converted the basket and was fouled with 10.5. Bolden completed the 3-point play. Bolden said Edmondson stayed resolute, despite trailing 10 points in the opening half. 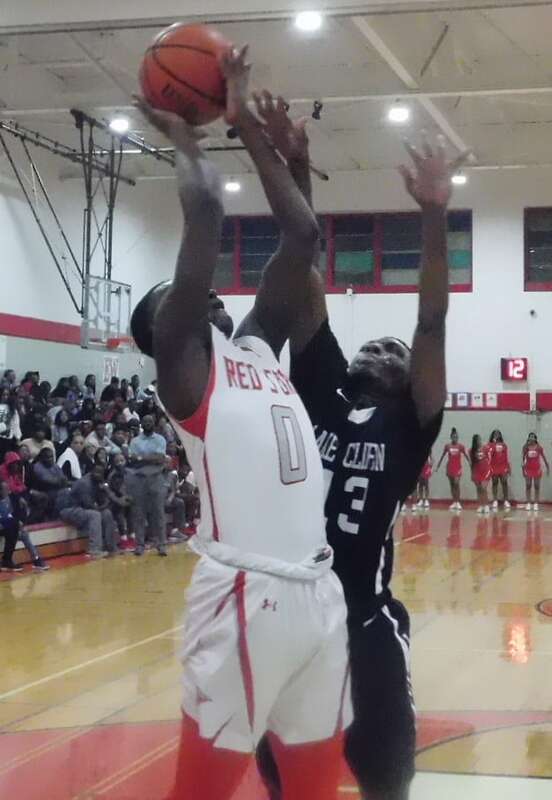 Lake Clifton (15-3, 6-1 A Division) had its perimeter game on point in the opening half, connecting on five 3-pointers to construct a 35-25 advantage late in the second quarter. 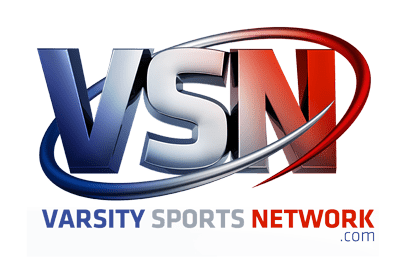 The Lakers led 37-33 at halftime before Edmondson got its first lead of the match with 5:19 left in the third quarter on Nelson’s 3-pointer. Armon Harried finished with 24 points for Lake Clifton (), and Gray added 22. While struggling to make shots in the second half, the Lakers also had difficulty with Edmondson’s length in 6-foot-7 Hocker and 6-5 junior Barry Jones. 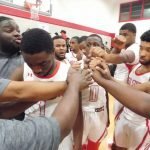 Unranked in the area’s preseason polls, Edmondson used it as a source of motivation. 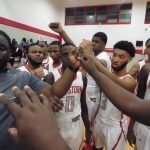 Dantzler, who guided Edmondson to the 2010 Division I city title, was confident back in the summer the Red Storm would be competitive. 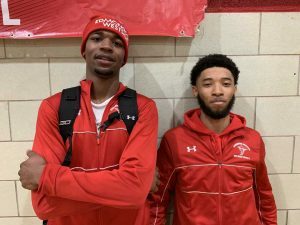 Marcus Hocker (left) finished with a game-high 24 points and senior guard Keith Bolden added 10 points in ninth-ranked Edmondson’s victory. The Red Storm will play No. 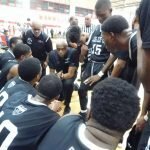 2 Patterson for the city title at Morgan State University in two weeks. 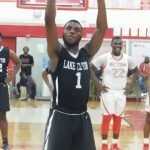 Lake Clifton – Harried 24, Gray 22, Harris 8, Hodges 6, Tiggle 4, Hughes 3. Totals 20 18-25 67. 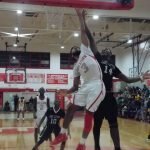 Edmondson – Hocker 24, Nelson 12, Bolden 10, Lewis 8, Jones 7, Smith 4, Frink 1. Totals 27 13-31 73.